Looking to change career? Or a new job? The Boss a problem? Perhaps you have been made redundant and are wondering what to do next. Having invested in pursuing a career, you find that it no longer challenges you. If you have concerns about your employer’s viability, it could be sensible to plan an escape route in case the worst happens. It could be that you are worried about an interview or are looking for that elusive first job after graduating. You may want to make rapid progress in your new job. You could be unsure of where your current job leads. Perhaps you are approaching retirement, and have to decide what to do with your time. Based in Birmingham but working nationwide, we provide career coaching, including finding your true purpose, interview coaching, CV and job hunting coaching. 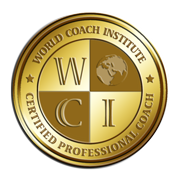 Where necessary we can give coaching on specific work related skills, career management, and on the First 90 Days in your new job. Other coaches specialise in relationships, divorce, parenting, finance, addiction etc., so we leave these issues to them. Career Coaching is not for everyone. Use our Are You Coachable questionnaire to find out if you could benefit. If we can help, contact us today. Our current Charity of the Year is Kids Club Kampala (http://www.kidsclubkampala.org), and we look forward to supporting their great work.